Every house has a history, but what if the house you’re trying to sell has a past that’s more ghoulish than most? If you or your community believes a house is haunted, it can make selling it more difficult. However, there a several options for someone with a spooky property to sell. Just follow a few simple steps to get the haunted house off your hands. The first thing you’ll want to establish is if you’re required to inform potential buyers of their future paranormal roommates. To answer that, you’ll want to consult your Realtor about your state’s disclosure laws. Haunted houses fall into the category of stigmatized properties. 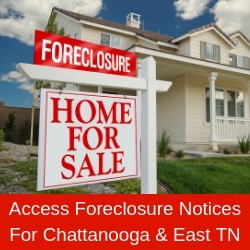 But the laws in both Tennessee and Georgia provide that a property owner or real estate licensee cannot be held liable for failure to disclose whether a property was the site of a homicide or other felony, suicide or death of any kind. Required disclosures include facts related to a property’s physical structure and condition. Yet, Realtors are obligated by the Realtor Code of Ethics to “treat all parties honestly,” and should answer truthfully when they have factual knowledge. Regardless of required disclosures, it’s still a good idea to give your buyers a heads up and to discuss with the seller the merits of proactive steps. If your house is known around the community to be haunted, the spooks themselves (or a neighbor) will eventually let the buyer know. It can create a lot of goodwill if you tell potential buyers to expect a couple bumps in the night. There is a chance that the paranormal prowling might even be a selling point. Strange as it might sound, there are people who would love to live in a haunted house. A survey from realtor.com revealed that 33 percent of respondents would consider buying a haunted house. You can work with a Realtor to tap into that market in your community, perhaps marketing to clubs or organizations with an interest in the supernatural. If you can’t find an amateur paranormal investigator to buy your house, it might be time to lower the price. That same realtor.com survey showed that about 40 percent of people who are open to a haunted home said they’d want to see that home price go down to put money down on it. If you’ve tried everything and nothing has worked, bringing the selling price down might be your only option. If ghosts and ghouls have generated interest in your property, then a bargain price should do the trick. For more information about buying or selling a home – haunted or not – contact a Realtor, a member of the Greater Chattanooga Realtors.